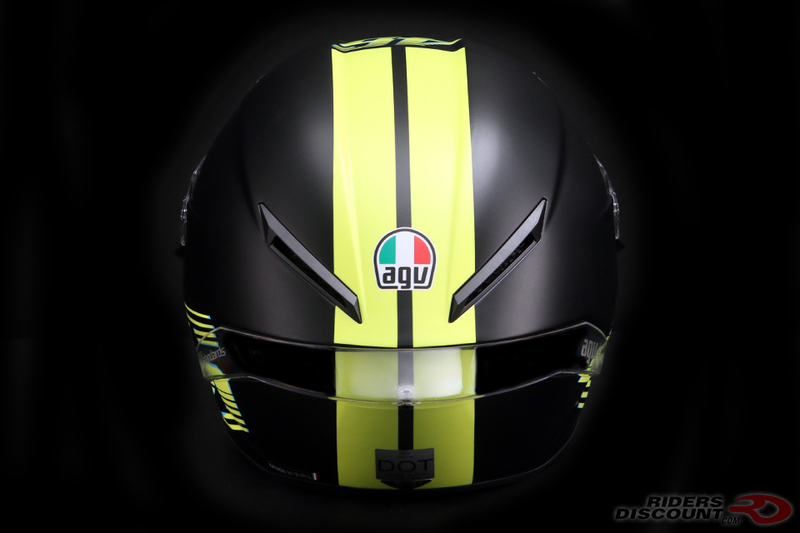 The AGV Corsa R V46 Matte Black Helmet is very similar to the AGV Pista GP R, but features a tri-composite shell made up of carbon fiber, aramid, and fiberglass. 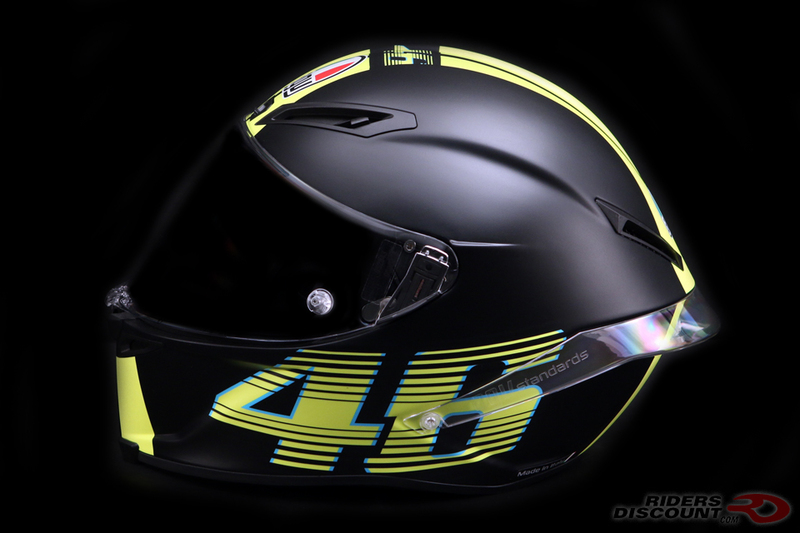 MotoGP rider Valentino Rossi’s distinct number 46 logo is found on the top and both sides of the helmet. The Integrated Ventilation System (IVS) consists of air ducts that are built into the Corsa R, directing cool air to the rider’s head. Unlike the Pista GP R, the Corsa R’s forehead vents open and close, allowing you to change their position on the fly. Exhaust vents on the back allow hot, moist air to escape. The rear spoiler helps to reduce drag and improves the aerodynamics. 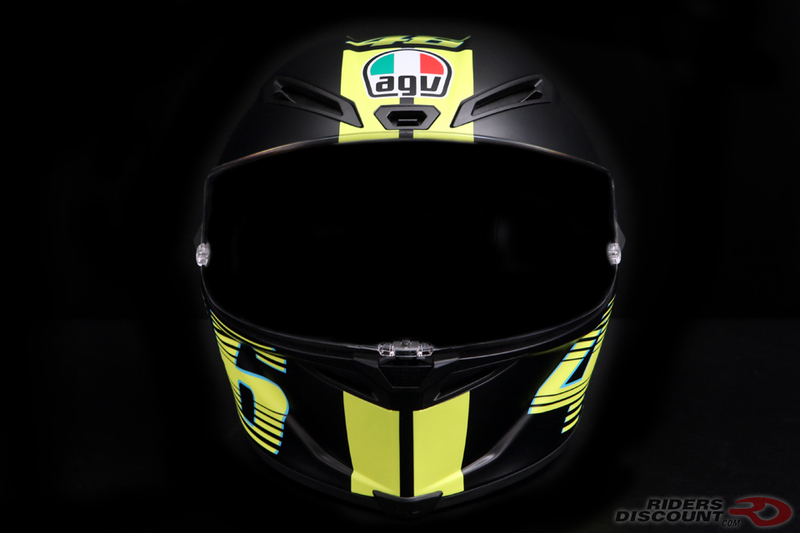 A dual-purpose shield locking system prevents the visor from accidentally opening in the case of a crash. The new visor is up to 5mm thick, offers 85° vertical/190° horizontal view, and is class 1 optical standard. The Corsa R has a new reversible helmet liner that allows you to select either a warm or cool side. 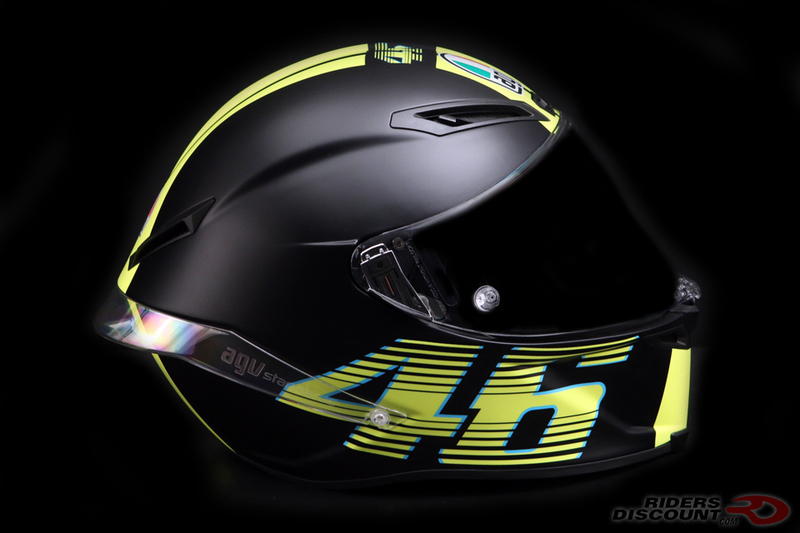 A Max Vision Pinlock Insert Lens, tear-offs, removable nose guard, and wind deflector are all included with this helmet. 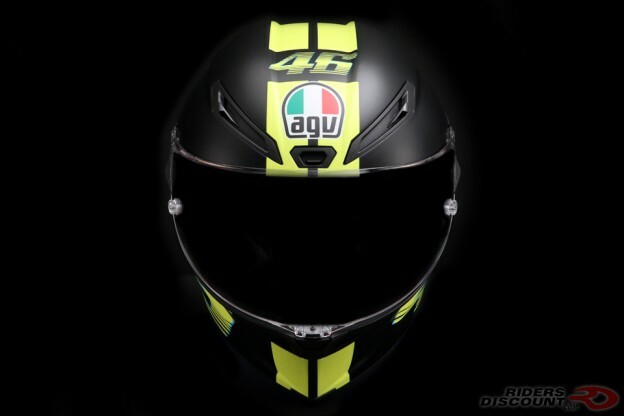 This entry was posted in News, Product Reviews and tagged AGV, AGV Corsa R Helmet, AGV Corsa R V46 Helmet, AGV Corsa R V46 Matte Black Helmet, Motorcycle Helmet, Riders Discount, Valentino Rossi, Valentino Rossi Helmet on March 22, 2018 by Riders Discount.